You’ve never had a sweeter, more perfect cupcake. We’ve combined our vanilla extract and vanilla beans into one cupcake to create an extraordinary, one of a kind cupcake recipe! Preheat oven to 350°F. Line 12 cup cupcake tin with papers. In a medium bowl sift together flour, baking powder, and salt. Using a stand mixer on medium speed, cream the butter and sugar until pale and fluffy, about 3 minutes. Add Rodelle Vanilla Extract and scraped Rodelle Vanilla Bean seeds. Mix to incorporate the seeds. Add eggs, one at a time, beating well after each addition while scraping the sides of the bowl. On low speed, add the flour mixture in 3 batches, alternating with milk. End with the flour. Scrape the sides and bottom of the bowl and mix until smooth. Use a ½ cup measuring cup to scoop out batter into cupcake tin. Divide the remaining evenly among the cups. Bake for 20 to 22 minutes. 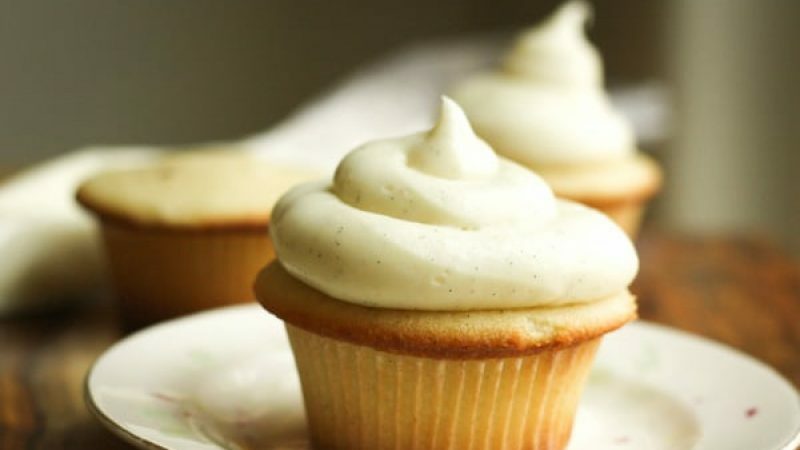 Remove cupcakes from tin and cool completely on a rack.